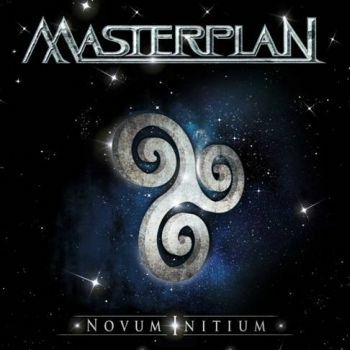 MASTERPLAN - NOVUM INITIUM VINYL (LP) | Online Shop | Wizard LTD. Album: "NOVUM INITIUM VINYL (LP)"
- HIGHLY anticipated fifth album of the multinational melodic metallers! The new lineup featuring: Martin "Marthus" Skaroupka (CRADLE OF FILTH) on drums, vocalist Rick Altzi (AT VANCE, THUNDERSTONE) and bassist Jari Kainulainen (Ex-STRATOVARIUS, SYMFONIA). Anno 2013 MASTERPLAN are back with an energy like in their early days! - Joining founding member Roland Grapow (Ex- Helloween) and keyboard player Axel Mackenrott are drummer Martin "Marthus" Skaroupka (Cradle Of Filth), vocalist Rick Altzi (At Vance, Thunderstone) and bassist Jari Kainulainen (Ex-Stratovarius, Symfonia, Devil's Train). Besides their undoubted musical qualities, all three fit perfectly into the band. So there is a huge motivation to get things going now and have a fresh start!